I love this stuff so much, I almost had to review an empty jar. 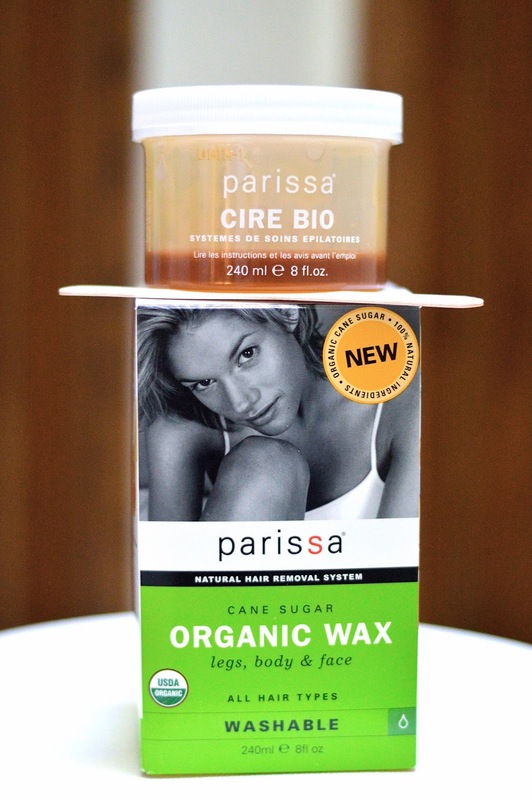 Parissa's brand new Organic Sugar Wax is everything I want in a hair removal product. Fool-proof application, easy clean-up, and long-lasting results. As a regular leg-shaver, I've been hesitant to wax my legs at home. I've had it done professionally before, but the financial burden is real. I really don't like when at home wax doesn't remove all hairs, and it's a pain to scrub off the sticky bits after everything is done. This sugar wax warms up in under a minute (in the microwave) and is water soluble. Any traces can be rinsed away, and the strips will come clean after soaking in a bit of warm water for a few minutes. The most incredible part about this whole waxing experience, is that it doesn't hurt. I really hate painful beauty treatments, and this wax formula removes the hair without tugging at the skin. Thanks to Parissa, I have now become a waxing addict. One tub should last for at least one whole leg wax, or two if you aren't super furry. Look out for the new Organic Sugar Wax at your local Shoppers Drug Mart for around $20 a box. I'm sure you'll love it too!